India and China have fielded 100 personnel to take part in the seventh edition of the exercises focussing on tactical level operations. Indian Army contingent led by Colonel Puneet Tomar arrives in Chengdu, China. India and China today began the seventh round of their "Hand-in-Hand" military drills in the Chinese city of Chengdu as part of the focussed efforts by the two militaries to improve ties after last year's standoff at Doklam. Both sides have fielded 100 personnel to take part in the seventh edition of the exercises focussing on tactical level operations in an International Counter Insurgency/Counter Terrorist environment as per UN mandate. The drills are being held after a gap of one year as they could not be held last year because both armies were locked in a 73-day standoff at Doklam in the Sikkim sector. The drills will conclude on December 23. The Indian military contingent headed by Colonel Puneet Tomar arrived in Chengdu city today. China has fielded its troops from the Tibetan military command. "Opening Ceremony of the 7th India-China joint Hand-in-Hand joint training exercises was held in Chengdu. 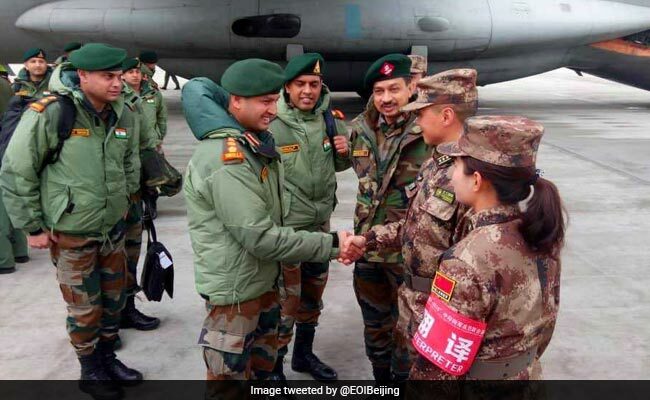 Indian Army contingent and Tibetan Military command of People's Liberation Army (PLA) are participating in the exercises," the Indian Embassy tweeted. China on Monday expressed hope that the resumption of military exercises between the Indian and Chinese armies would inject impetus and yield good results for the improvement of bilateral ties. "We wish to see good outcomes," Chinese Foreign Ministry spokesman Lu Kang said. He referred to the informal summit between Prime Minster Narendra Modi and Chinese President Xi Jinping at Wuhan in China in April this year and the "important consensus" reached between the two leaders to improve relations. "Departments on the two sides in charge of various fields are making positive efforts to more effectively implement the consensus reached between the two state leaders. 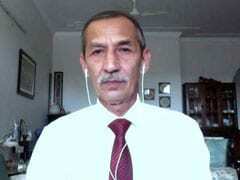 Contacts between the two militaries and border troops are part of these efforts," he said.